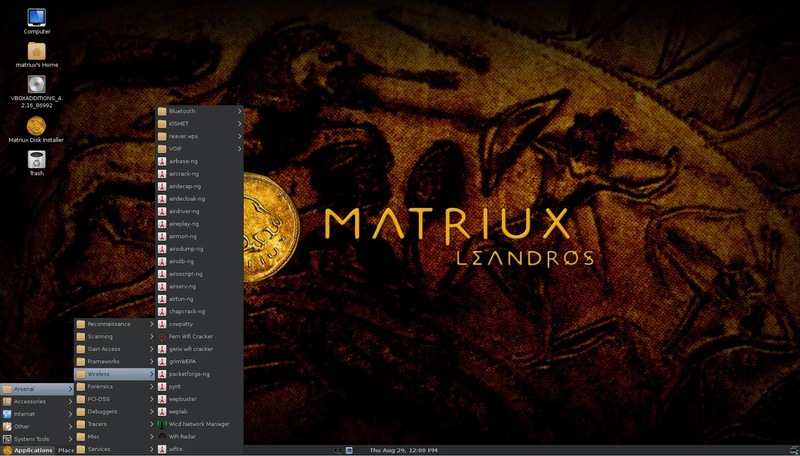 Matriux is a fully featured security distribution based on Debian. It is packed with more than 300 open source and free tools that you can use for various purposes including, but not limited to, penetration testing, ethical hacking, system and network administration, cyber forensics investigations, security testing, vulnerability analysis, and much more. It allows you to turn any system into a powerful penetration testing toolkit, without having to install any software on your hard disk because Matriux is designed to run from live environments like CD/DVDs, and USB sticks (You can also install Matriux on your hard disk if you want). Although it is primarily designed for security enthusiasts and professionals, it can also be used by any Linux user as a desktop system for day-to-day computing.